Time gives us these untouchable lapses in our lives. You have this shimmering bubble filling up with wonderful things, with sunlight and music and good people and happiness. You want to freeze time in those perfect moments, but you know it's going to burst and life will never ever ever have that surreal summer-like hazy quality again. 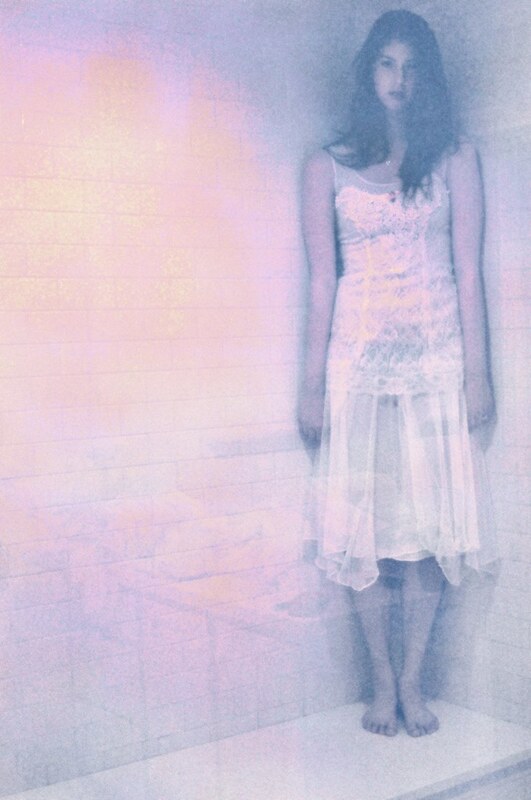 Things always fall away, slipping out of reach into memory, tainted by nostalgia. 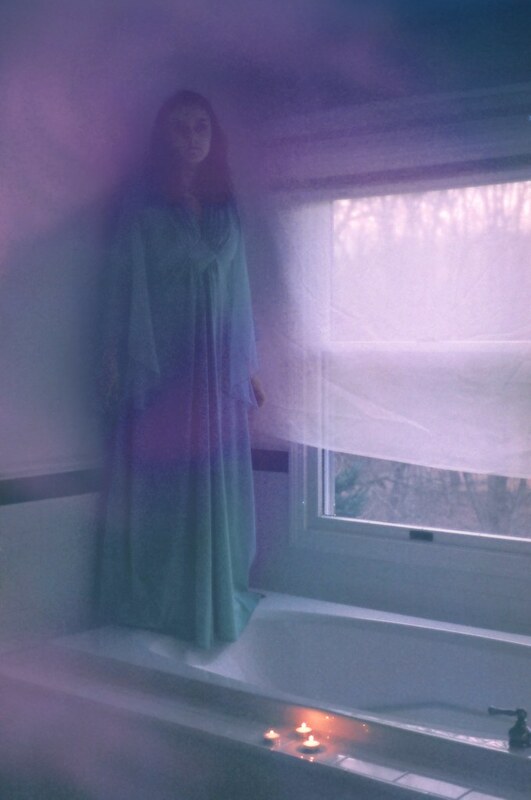 Sofia's among my favorites because she can capture that untouchable feeling in film. 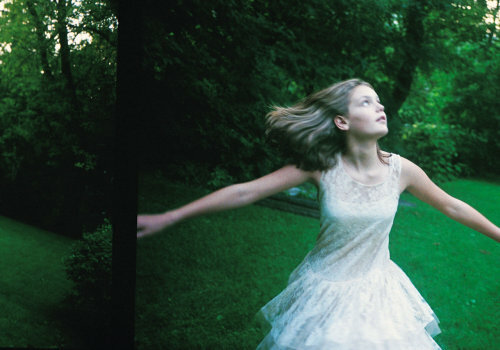 In The Virgin Suicides, Sofia Coppola crafted this beautiful, haunting atmosphere. 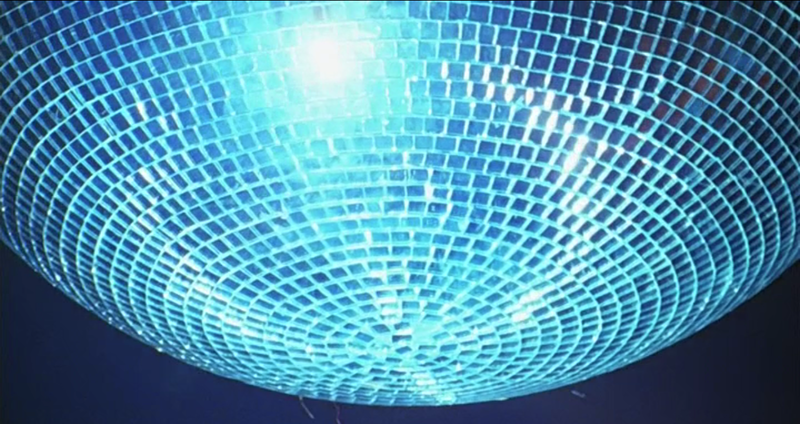 Everything just works in all her movies, from music and colors to casting and styling. 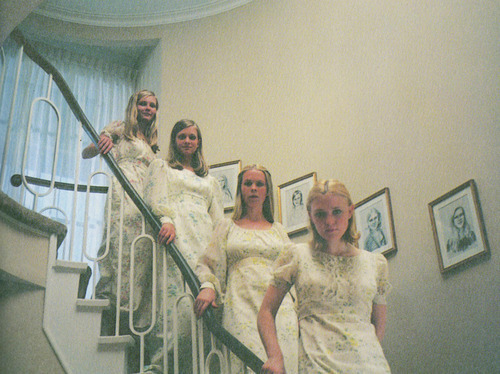 And what's better than the hazy parties in The Virgin Suicides? We're loving those dreamy party styles. You can't even know how much I wish my school dances were like theirs. 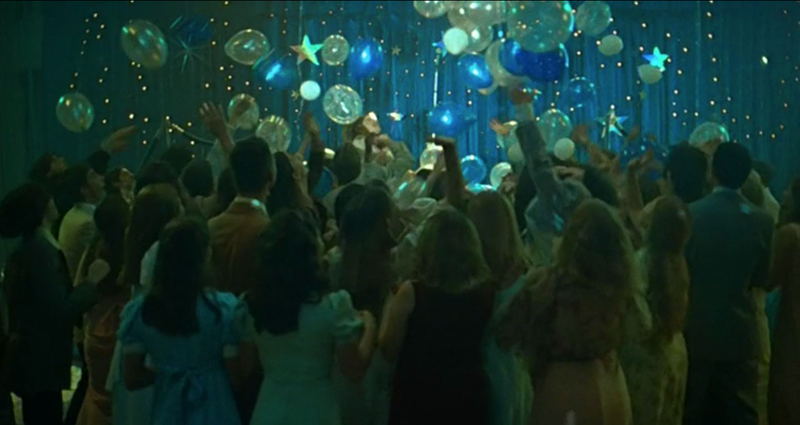 As I'm sure many of you out there will agree, the prom in The Virgin Suicides makes me cry over the pure, awful boringness that was my own prom! Beautiful, soft dresses? Star cutouts and gold streamers? Oh how I wish mine had been so! oooh love them both but I especially love the one with the jeans! Gorgeous!!! !